The lovely Jen Brum is our hostess at Freshly Made Sketches this week. Jen has created a totally cool sketch that our design team have totally nailed. Click here to go to the challenge and check out the inspiration from our crafty design team. Instead of circles I’ve gone with hexagons from Stampin’ Up!s Six Sided Sampler (thought I better use them again because I think I’ve only used them once!) and finally decided on stamping the silhouette image from a retired Stampin’ Up! stamp called Extreme Guitar. I added some background stamping from Gorgeous Grunge and finished my card off with some small stars and a “You Rock” sentiment. The more I look at this card, the more I’m thinking it’s kind of busy don’t you think? 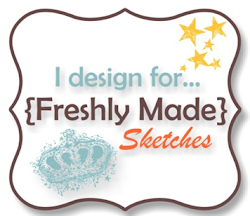 We’d love for you join us this week, so why don’t you head over to Freshly Made Sketches? You rock Narelle! Love the pop of blue with the black! Very cool card! I think it is fantastic!! Such an awesome and creative use of the sketch! Love this, Narelle! Fantastic to see the Six Sided Sampler used like this. Great sentiment too. You rock! What a totally fabbo card! You rocked this card Narelle! I love it! 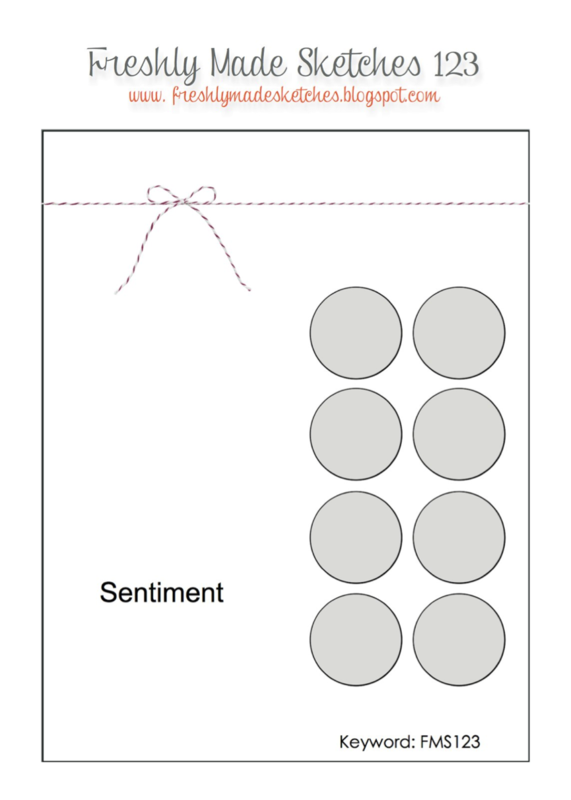 Those hexagons look fabulous and I would have never thought to use them for a masculine card but they looks amazing! Love the colours!!!!! Love your take on the sketch, Narelle. And no way is this too busy! I think the white background grounds all the different elements to create a perfect balance. Not to busy at all!! I love this card,Narelle!! Looks amazing with the hexagons and the stars! Great colors!! Love the colors! Perfect card! If by busy you mean “lots of interest and detail” This card has all that going on…what’s brilliant about it is the silhouettes ground it as the star of the show. Rock on! Super fun card. I LOVE how you used this sketch! The hexagons are a perfect backdrop, and so modern-looking. It’s like a stage set up. Great colors, too! My husband (a guitar player) would love to receive this card!